Learn how to be more comfortable, confident and in control during presentations or speeches. Note: This presentation training program is far different than most. Most presentation training workshops focus on a block of time, a class, or consult delivered, and then, the process is over. We have found that our clients have real outcomes they are trying to create. That could be closing more deals. It could be creating a desired action from employees. It could just be looking and feeling more comfortable and confident. Whatever your desired result, our program is designed to chart the path. not on just on training. This program will give you all the tools you need for giving a presentation or speech. This presentation training workshop will give you the secrets on looking and sounding better. If nervousness or confidence are an issue, you will learn methods that help you not only look and sound better, but to feel better during the process. Our unique Message System, Story Creation System, and PowerPoint / peripheral techniques are easy to learn and master. This presentation training program will give you all the tools you need to create the results you are after. Reach out to find out about how we can customize our program around your specific needs and to get a sense of pricing. 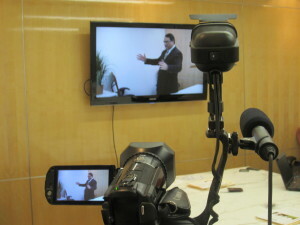 This Presentation Training program is available as a private, customized workshop or join as part of a public workshop. Reach out to us to hear which option is best for you. This is a question you absolutely should be asking yourself. Let’s face it, in addition to the money, your time is one of the biggest investments you make. 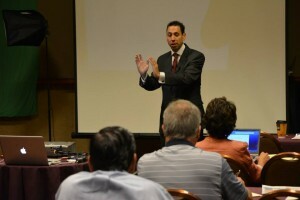 You need to see a return on time and money spent on a presentation program. The attention to this area has helped our business grow and created a win-win relationship with out past clients. We help you to see the return or result you are after and build a path toward it. While we don’t say that you should throw your PowerPoint deck away, we do give you techniques to become more interesting, persuasive, and memorable. This client felt his presentation could be done without PowerPoint. This course is for those who know they would benefit from improved presentation training skills. We have worked with CEOs, business executives, diplomats, and business owners. If you would like to know which option is your best solution, reach out to us by phone or email.